I was asked to create a piece of the Maldives in the Indian Ocean, a fascinating area. You need to think of it as a Mountain range that rises from 4500 meter’s from under the Indian ocean and the peek is a flat area just under the surface with a series of Atolls that are the islands that make up the Maldives. 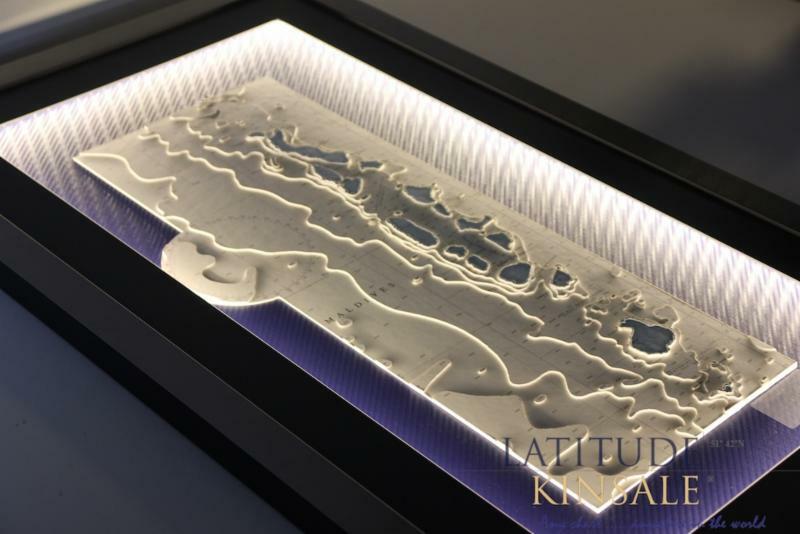 There were two approaches to creating a 3D chart of the area: a detailed 3D chart specific to a particular Atoll or a broad scale chart showing the Mountain range running from north to south consisting of 1,192 coral islands grouped in a double chain of 26 atolls. My clients chartered a plane during their honeymoon to see all of the Maldives so it was logical that I would show the whole area. 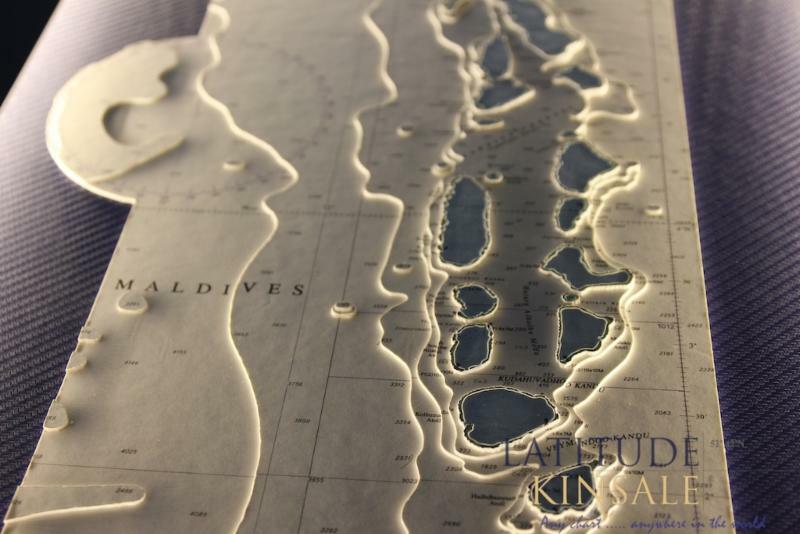 The Maldives 3D chart clearly shows the mountains and Atolls and puts the whole are in perspective. Framed in a brushed silver frame with Surround Lighting. 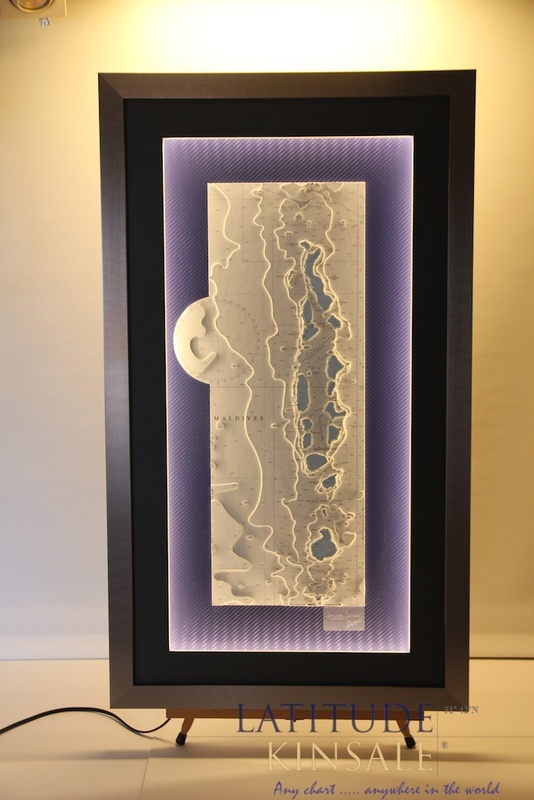 What I really like about 3D charts like this is that when you stand back and view the overall piece , the various shapes appear as abstract art within the frame!!!! !